In my previous post, I explained the Jewish background to the “Day of Pentecost” mentioned in Acts 2:1 (see my post “What is Pentecost?“). However, from a Christian perspective, I’m more interested in that particular Pentecost that occurred 50 days after Jesus Christ was crucified and approximately 10 days after he ascended into heaven. What can learn about this day from the scriptural account? Since Acts 2:1 says they were “all” together in one place, Luke is pointing back to the 120 disciples that he had mentioned earlier. (See Acts 1:15.) Who were these 120 followers of Jesus? We know the 11 apostles were among them. (Acts 1:13) We also know that Jesus’ mother, brothers, and sisters were among them. (Acts 1:14) There were at least 2 (but probably more) people who had followed Jesus since he was baptized by John the Baptist. (Acts 1:21) That still leaves others who had followed Jesus (at least after his resurrection). According to what Jesus had told his disciples (i.e., “wait for the promise of the Father”) and what Peter said later (i.e., “received from the Father the promise of the Holy Spirit”), the Spirit was working in a new manner, that is, in a way that he had not worked previously but in a way that had been promised or prophesied. This was the setting of that specific day of Pentecost that came along 50 days after Jesus was crucified and 10 days after he ascended into heaven. Why Should We Care About Pentecost? Since it is not specifically stated that they were in the upper room at that time could it not also be possible they were meeting at the temple as it was their custom. Also if it was in a upper private room how could the multitude have heard what happened? see Act 2:5 ¶ And there were dwelling at Jerusalem Jews, devout men, out of every nation under heaven. I think it’s very possible that all that transpired right there inthe temple. It’s certainly possible that Luke meant that the disciples were gathered in the temple area. However, the passage that mentions the temple comes after his statement that they were all together in one place. Plus, Luke had already told his readers that the disciples were all staying together in the upper room in Acts 1:13. It seems more probable that this is the “one place” of Acts 2:1. I stumbled on your site whilst looking for more clarity on what happened and where at Pentecost. I am currently looking at the evidences of the baptism in the Holy Spirit (my roots are pentecostal, now a reformed but unashamed charismatic), and I think that the location of the 120 when the Holy Spirit rushed in may be quite important. P reviously I had always imagined them going back to the upper room where the last supper and no doubt countless other suppers had taken place between Jesus and his closest followers. Maybe owned by sympathisers or followers. However…. at the end of Luke we have Jesus saying “stay in the city (24:49) until you are clothed with power from on high” , and the disciples “returned to Jerusalem with great joy, and were continually in the temple, praising God” (24:52). This would seem to conflict with Luke’s other report of the disciples’ location immediately after the ascension – “When they had entered the city, they went up to the upper room where they were staying.” So I am confused. There seem to be two views. I do not know what to do with the references to the upper room, but I cannot ignore the consistent allusions to the temple and also the explanation of how the interaction of disciples and Diaspora took place that day. Can you help? Like your blog. Simple to read, solid and sound. Interestingly, Luke only finds it important to tell us that Jesus’ disciples were “all together in one place” (Acts 2:1) when the Holy Spirit descended on the day of Pentecost. (I think it likely, though, that in order to speak to over 3,000 – many more than 3,000 since 3,000 actually accepted their good news – that they did not stay in one place for long.) I think it is quite fitting that Luke does not tell us exactly where the disciples were, because most of this book (Acts) centers on the fact that God is not housed in a certain building (temple), city (Jerusalem), or region (Judea). How many people starting out waiting for the Holy Spirit but left before He filled the 120 that remained in the upper room? As far as I know, there’s no way for us to know if anyone left before the Holy Spirit came or not. There’s no mention of it at all. According to Luke, there were 120 disciples in the upper room on the day of Pentecost. I would assume there were more disciples of Jesus than that, but we’re not given an exact number. Why do you ask? It’s certainly possible that they were all gathered in the temple. Of course, Luke doesn’t mention the temple at all until later in the passage, but he had already mentioned that they were gathering in the upper room. So, to me, the “one place” would point back to the place Luke had already mentioned. Could it be a completely different location? Sure, it could be. Where in Jerusalem is the Upper Room located. I understand it to be in the home of Mary Magdalene (?) if memory serves me correctly, but Im trying to figure out the direct city. They came from the Mount of Olivet to the Upper Room which took them a Sabbath days journey. 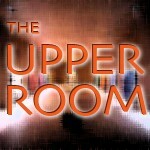 I don’t remember the upper room being associated with Mary Magdalene in Scripture. Do you know where that association is found? The last verse of Luke’s gospel leaves no room for doubt as to where they were on the day of Pentecost. Yes, we are told in Acts that, when they were come in to Jerusalem, they entered into an upper room. That is all that is said. It does not say they stayed there. In fact, it is impossible that they continued there, since Luke tells us they “were continually in the temple.” So they slept in an upper room, a motel room, as it were, and during the day were “continually” in the temple. So, at 9 am on the day of Pentecost, where were they? Well, where was every other devout Jew, who had traveled at great expense from all over the world, at 9 am on that day? In their motel rooms, or taking part in the temple services on that great feast day? Remember, several days had passed, seven at least. Are we to believe that they were “holed up” in a motel room for seven days, when Luke unambiguously tells us that they “were continually in the temple”, in the last verse of Luke’s gospel? Since he also wrote Acts, surely he would be baffled by today’s confusion in the matter. That the majority of preachers think they were in the upper room matters little — the word of Luke is clear enough on the subject. Read Philip Mauro’s chapter in “The Hope of Israel” entitled “Where were the disciples on the day of Pentecost” for further light on this matter. It is certainly possible (though not necessary) that the Holy Spirit descended on the day of Pentecost while the believers were in the temple in Jerusalem. However, your evidence above leaves out Acts 1 – which comes between the end of Luke and Acts 2. In Acts 1, we see the believers doing much more than just sleeping in the upper room. Again, while I think they were in the upper room at the beginning of Acts 2, I do not think it is necessary either way. The focus of the NT is not on the temple structure, but on the follower of Jesus as the temple of the Holy Spirit. This is the temple that should hold our focus as well. Dear Brother Alan, I am not trying to be contentious here. And I have no axe to grind. I don’t need to be right. However, I do want to believe what’s true. Acts 1 says they entered into an upper room. The next verse says they “continued with one accord in prayer.” And the very next verse indicates that days passed — “in those days”. So they were continuing in prayer, continually, for days on end. Where were they continuing? Luke says they were continually in the temple for those seven days or so. Is it logically possible for them to continue in the upper room, and also be continually in the temple? Haven’t you ever wondered what kind of room sleeps 120 people? And from where came all these Jews from different countries, instantly on the scene? Were they “playing hookey” from the temple services, where they belonged, wandering the narrow streets of Jerusalem, until they heard tongues from an upstairs window? And from whence came the three thousand the disciples baptized? And how was this done anywhere else than the temple, with its plethora of ritual baths? In a horse trough, in a narrow lane outside the upper room? You might wonder why this issue is important to me. Well, if it was the fulfillment of the vision in Ezekiel where water flows out of the temple and fills the world, speaking of the Spirit (John 7:37, 38), then probably it is important. But I don’t have to be right. Blessings, and shalom in Christ. I haven’t read your posts as being contentious. And, I agree completely that neither one of us have to be right about this. In your comments, you’ve admitted that “continually in the temple” does not mean “always in the temple.” There were times when they were not in the temple. And, you admit that part of that time, at least, was spent in the upper room. So, I still see no reason to think that the 120 followers had to be in the temple in Acts 2 and could not have been in the upper room. By the way, I did a quick perusal of Luke concerning the Holy Spirit. The focus is on the Holy Spirit indwelling and leading Jesus. The Holy Spirit is never associated with being “in the temple.” If Luke is referring to Ezekiel’s vision, then it seems just as likely (perhaps more likely) that Luke sees the Holy Spirit flowing how of Jesus (as the temple) and into his followers (as the temple), without any reference to a temple building. This is a very interesting subject. And i believe no one is either right or wrong for the simple fact that the Bible does not specify exactly where the disciples were when the Holy Spirit descended upon them. But I would like to add that in Acts 1:14 it says “And when they had entered, they went up into the upper room where they were staying: Peter, James, John, and Andrew; Philip and Thomas; Bartholomew and Matthew; James the son of Alphaeus and Simon the Zealot; and Judas the son of James. 14 These all continued with one accord in prayer and supplication,with the women and Mary the mother of Jesus, and with His brothers.” And in Acts 2:2 it says “And suddenly there came a sound from heaven, as of a rushing mighty wind, and it filled the whole house where they were sitting.” If you notice it says “…filled the whole house where they were sitting” An upper room would be found in a house. But also in Acts 2:46 it says “So continuing daily with one accord in the temple, and breaking bread from house to house, they ate their food with gladness and simplicity of heart,” which means that they could have been in either place when the received the baptism of the Holy Spirit. I think the most important thing about all of this is not if it took place in the upper room or in the temple, but the fact that we are all so blessed to be able to receive the baptism of the Holy Spirit when we come to Christ and are privileged to know that we are the temple of the Holy Spirit of God (1 Corinthians 6:19). You know, I completely skipped Acts 2:2 where Luke specifically says they were in a house. Thank you for pointing that out. Jesus was present in the Holy Spirit. Remember, he told his followers that it was good for him to leave (physically) so that another helper (the Holy Spirit) could come. So, while we might think it would be better for Jesus to be with us physically, he said it was not as good. Interesting, huh? Yesterday 26th Nov 2013, the thought once again crossed my mind and immediately this time l received an answer from the LORD, so l have spent part of the evening last night and most of today studying scripture and writing a teaching on what l feel that the LORD has shown me, because the LORD showed me that when HE breathed the spirit on the disciples it was temporarily as in the Old testament and why. And then late this afternoon l came across your site.. YHVH ALWAYS CONFIRMS IN ONE WAY OR ANOTHER, what HE reveals to HIS children and especially to HIS prophets. and l am called by YHVH as a Prophetess..